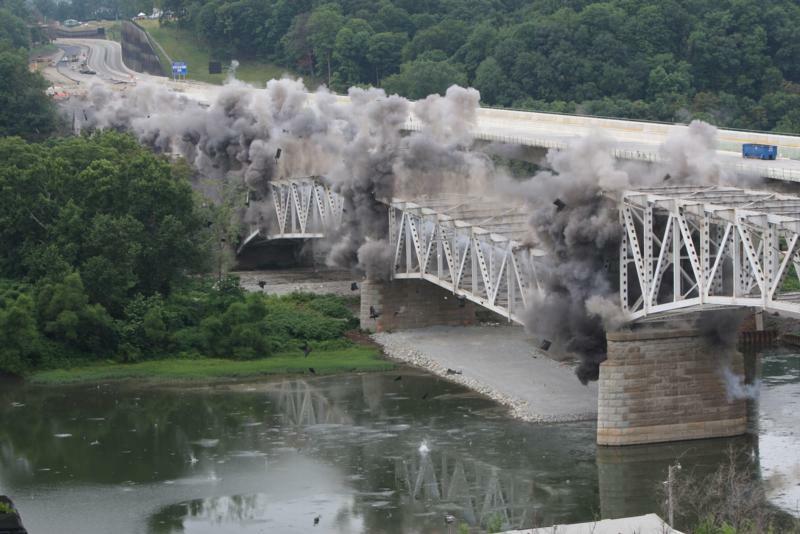 Part of the old Turnpike, Allegheny River Bridge was demolished this morning a few minutes after 10, dropping into the river and onto an island below. Part of the old Turnpike Allegheny River Bridge was demolished, dropping into the river and onto an island below. 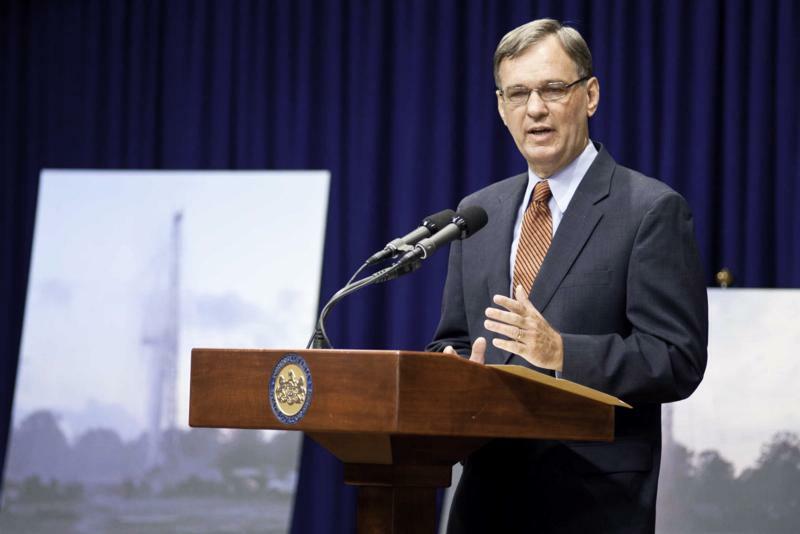 Amidst photos of the June 3 natural gas well blowout, Pennsylvania Department of Environmental Protection Secretary John Hanger outlined details from an independent report that found well operator EOG Resources at fault for the incident. Responsible parties are being charged penalties exceeding $350,000. 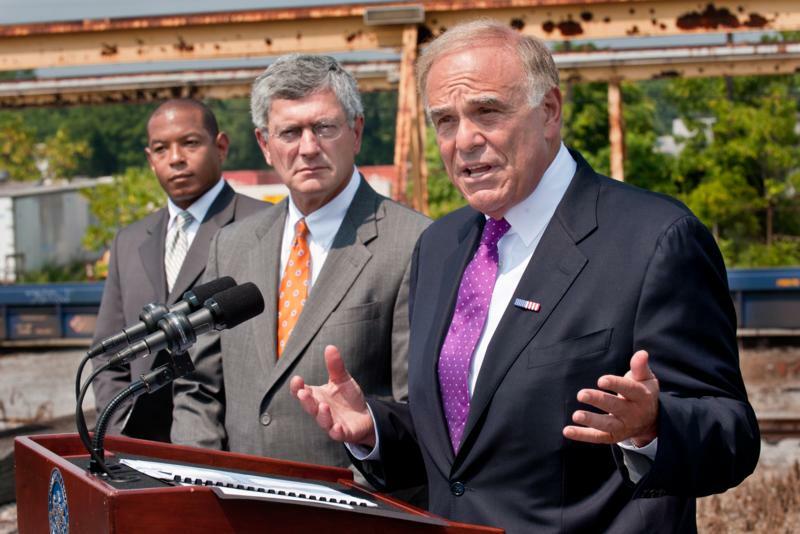 Governor Edward G. Rendell announces the findings in a report released by the American Association of State Highway and Transportation Officials during a press conference on the grounds of Norfolk Southern in Harrisburg. The report predicts the increase in freight volume, resulting in 50 percent more trucks on highways and straining air, rail and port capacity. 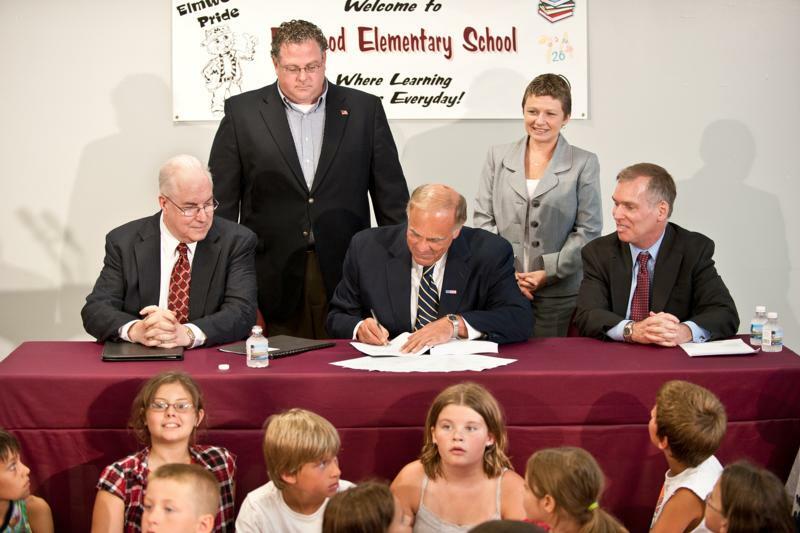 Governor Edward G. Rendell (C) signs the 2010-2011 state budget before a group of children at the Elwood Elementary School in Mechanicburg. Joining the governor are (L-R) Mechanicsburg School Superintendent Joseph Hood, PA Rep. Tim Briggs (standing), Gov. 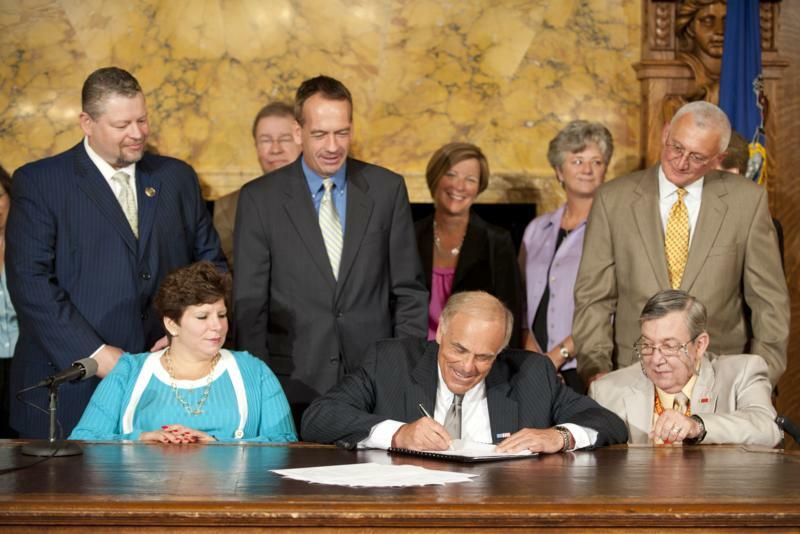 Rendell, Education Deputy Secretary Diane Sastelbuono (standing) and Acting Education Secretary Thomas E. Gluck. 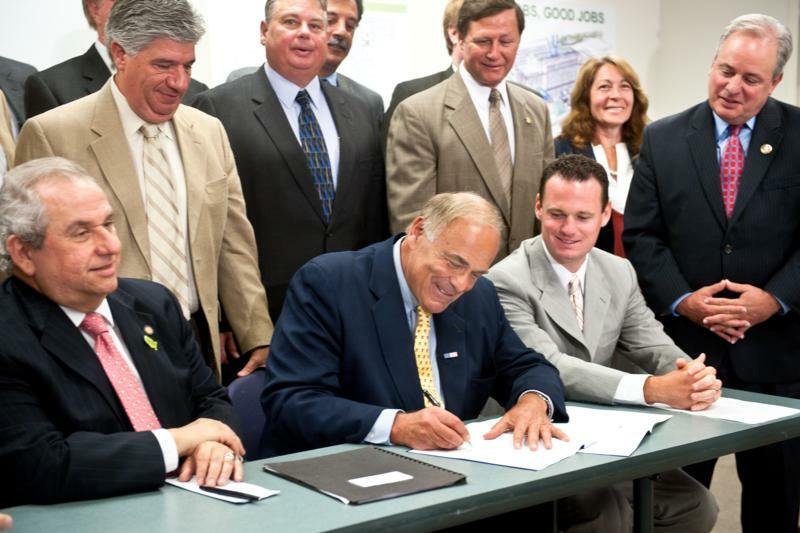 Governor Rendell Signs Budget That Restrains Spending in Difficult Economy, but Invests More in Education and Job Creation. 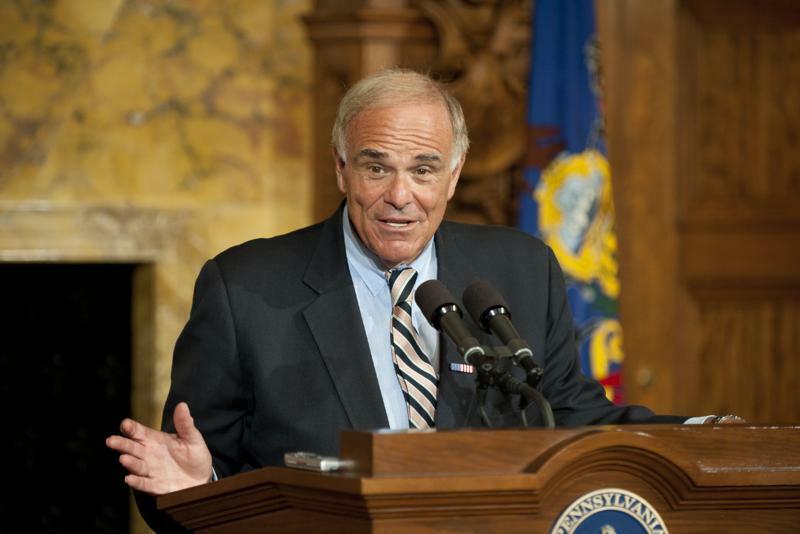 Pennsylvania collected $3 billion in General Fund revenue in June, which was $58.3 million, or 2 percent, more than anticipated, Governor Edward G. Rendell reported today. Fiscal year 2009-10 General Fund collections totaled $27.6 billion, which is $1.176 billion, or 4.1 percent, below estimate.